This lovely family home is nestled in the heart of Valmary Park on a beautiful 1500 square meter plot surrounded by the magical ambiance offered by big lush trees, making this property a truly unique find. This home offers charm, classic style and an abundance of character. Upon entering you are welcomed by traditional elegance offered by the high ceilings, original solid wood flooring and large windows inviting the beautiful outdoors into the home. There is a comfortable flow from the open plan dining room and cottage style kitchen to the large family lounge with a wood burning fire place. The formal lounge area flows effortlessly into the sunny indoor braai area with large sliding windows overlooking the lush tree filled garden. The braai area leads via French doors to the spacious patio ideal for outdoor entertaining, overlooking the sparkling pool and the park like garden as a backdrop. The home specially features a double garage with extra parking, a study, 3 large sized bedrooms, a family bathroom, with the main bedroom offering an en-suite bathroom. All the bedrooms boast with large aluminium windows, overlooking the large outdoor entertainment patio area. 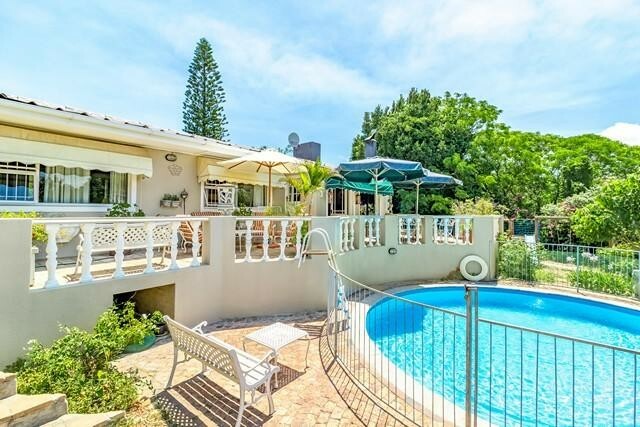 This classic family home is truly a hidden gem perfectly located within a 1 km radius to excellent schools, the Durbanville Golf Course, Durbanville Mediclinic and Central Durbanville. Please contact me today for your private viewing appointment.